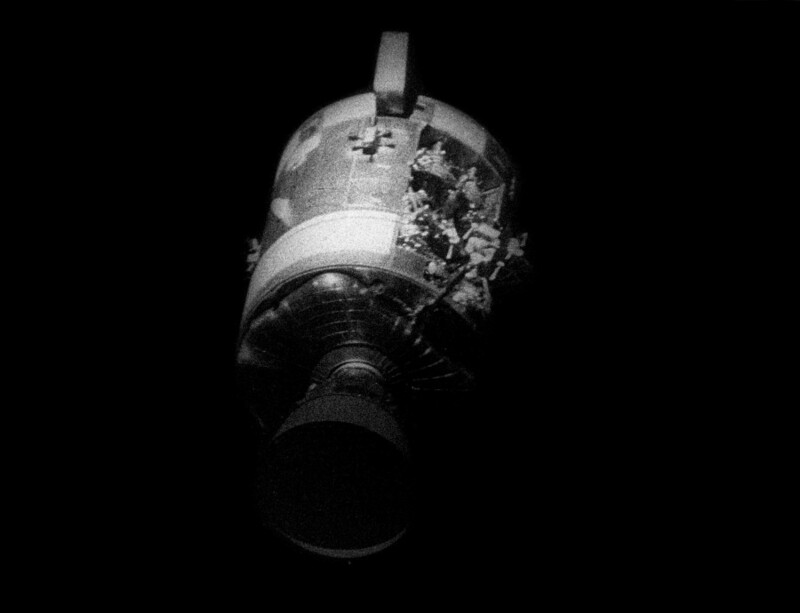 Explanation: After an oxygen tank exploded and crippled their service module, the Apollo 13 astronauts were forced to abandon plans to make the third manned lunar landing. The extent of the damage is revealed in this grainy, grim photo, taken as the service module was drifting away, jettisoned only hours prior to the command module's reentry and splashdown. An entire panel on the side of the service module has been blown away and extensive internal damage is apparent. Visible below the gutted compartment is a radio antenna and the large, bell-shaped nozzle of the service module's rocket engine. On April 17, 1970 the three astronauts returned safely to Earth.